Style blogging is a weird thing. I often find myself wondering if reading here and showing you what I like to wear is really all that helpful to anyone. I mean I'm no expert, and there are plenty of ways now to learn about cultivating your own personal style. The internet, books, social media...finding useful advice and inspiration should be easier than ever. But what if you don't feel represented? What if you're not quite finding what your'e looking for? It used to be that bloggers showed off clothing in a way that a glossy editorial couldn't (or wouldn't). Everyday women like myself could buy a camera, set up a website, and give a middle finger to magazines, models, and the unattainable fashion industry. It was exciting. It was real. And as a consumer of blogs, I felt compelled to add my own voice to the mix. I get that we are in a new age of body positivity, and it's definitely a step in the right direction. I'm always pleasantly surprised when I see an ad campaign featuring a blogger that isn't cookie cutter, that has interesting features, or that wears things in a way that I hadn't thought of. But I want more. I get tired of the same bloggers being featured on LiketoKnowit. More diversity, not only in size but also in ethnicity. Women of color. Not just thinness, or plus size women, but also average sized women. Less c/o clothing. Would you really buy that with your own money? I'm really hoping that style blogging goes back to being more raw and unedited. I hope we see more diversity, in all shapes and forms. 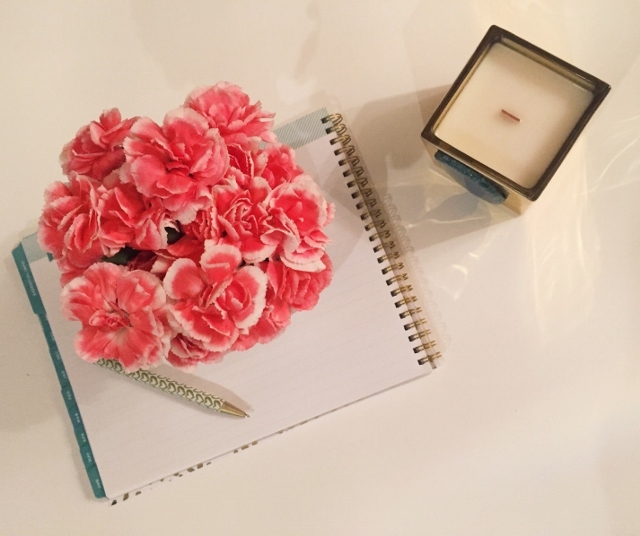 In fact, if you're reading this and have wanted to start blogging but have hesitated because of fear, insecurity, or being different - You should start a blog. I guess it's all up to us, and that's the beauty of it. We can change the landscape a bit if we want to. What do you want to see more or less of in style blogging? Ah, so many thoughts on this. It is interesting how blogs started as everyday women sharing their style...it didn't have to be magazine worthy and that's what drew me to blogs. I could relate! But now top bloggers produce magazine quality images and the public seems to love it based on the number of followers and sponsored posts they have! I always feel in the minority for my tastes and preferences, but I'm not holding on to hope for change in that direction. I just try to make it the most enjoyable that I can for myself since everything else is out of my control. Great post, Noelle! OH HELLL YEAH! I am so tired of not seeing my body represented anywhere. Like I have money, why is a size 10 not worth talking to??!?!? I mean you already know how I feel about blogging right now but omg I swear does everyone have 15K followers suddenly?? Amen on all you said girl! I've mixed away from reading style blogs to following cooking and fitness blogs because I got bored of the same old same old. I still read a few though (your included). I totally agree! It's refreshing when I see diversity and real life outfits not some fake outfit no one could ever wear out of the house. Yes, yes and yes!! I still enjoy reading style blogs, and really enjoy seeing what other girls put together, but I always gravitate toward people who are like me - girls with clothes that aren't all designer or c/o and I guess you would say "average". I've never been one to enjoy "high fashion" or stuff that just would look totally ridiculous walking down the street. Plus, I agree with Gina, the magazine worthy photos are pretty and all and of course I would love if I could create that, but I always relate more to the basic photos, not overly perfect photos. Years ago when I started reading blogs I think back in 2008, I loved seeing different styles that I didn't see locally, gave me fresh ideas! I actually prefer to stay on blogs rather than social media, because Instagram is just full of the same stuff over and over - perfectly posed perfection over and over. At least with jumping to different blogs, I get to choose what I see and read! Love this post and will always love your blog! This made me think. You are right about the roots of blogging, and I think the original women who started that way are the ones who have all the huge number followers. They have just evolved so much. You may not see it on IG, but women like Jo-Lynne and The Pleated Poppy have huge page views on their blogs because they are relatable. Anyway, I could not agree with you more about LTK regramming the same people over and over. What is with that? I actually just sent my rep an email about it. I always make a point to go through and like the posts of people who are different (whether race or size or whatever) when they actually do post them. Anyway, as a blogger, I do want to put my best foot forward, I also understand the pressure to want to post the best photos of myself. When I do get c/o clothing I always make a point to pick things I actually wear and stay true to myself. Yes this is true, not sure if will swing back, but still there are good things you see way many more Asian bloggers and vloggers then in the fashion and beauty industries at large. Also it seems you can be less then svelte but what you really can't be is old. Or just straight up not attractive. There is a popular British vlogger I follow who is I would say about an American size 10, but she is also very pretty and very young. And on that note many of the biggest vloggers and beauty vloggers are Asian. You don't see a lot of beauty vloggers with thin ruddy Irish-English skin ( makeup does not look as good on thin skin) and you don't see a lot of African American beauty vloggers either. Though I personally don't have a problem with great photography, I think artistically it is good to inspire to something better. But yes more vloggers of different ages and weight would be nice. And to the poster who is surprised that EVERYONE has 15k followers now, that is b/c I would say about %80 of the followers of fashion and beauty "influencers" followers ARE FAKE!